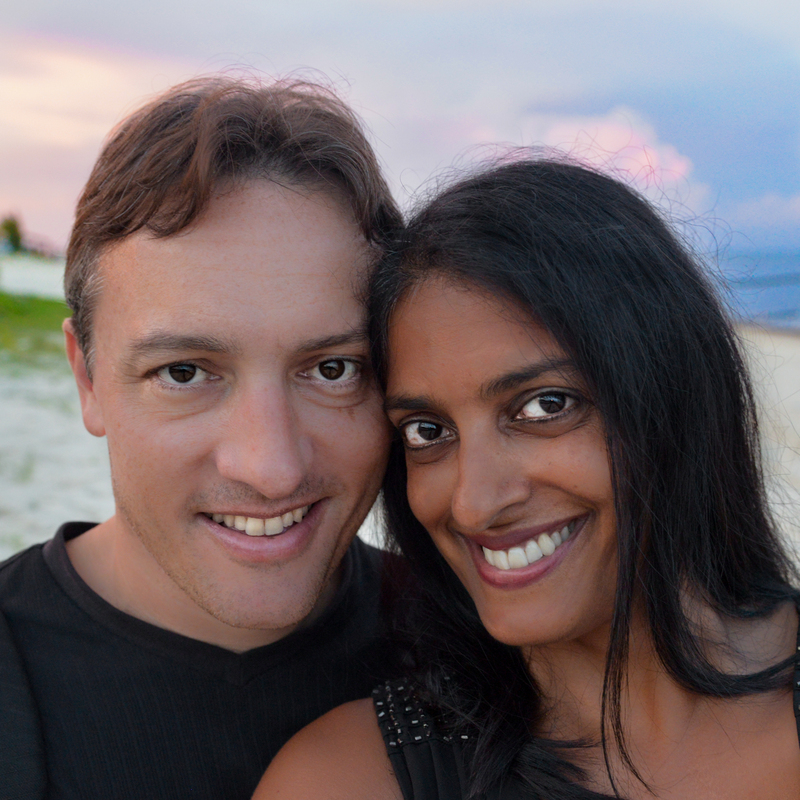 Ryan and I recently had the opportunity to get away for a few days to attend a conference. Here we are below, working very hard! 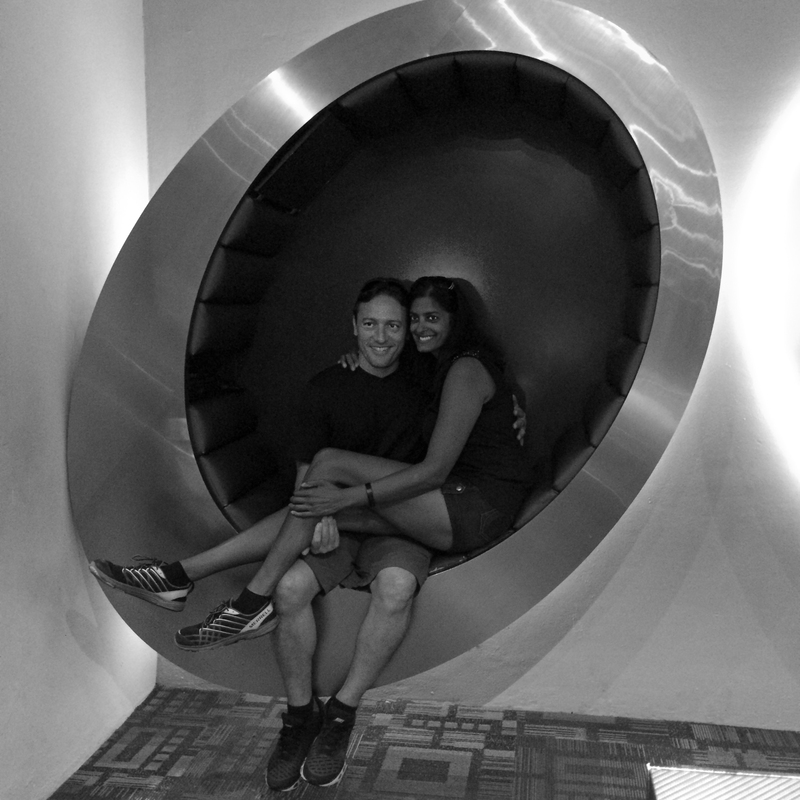 We stayed at the Moon Palace. While there, we participated in a turtle release program. We had to wait until after the sun set, as the turtles hatchlings typically make their way to sea in the cover of darkness. Here we are below, beyond excited as we wait for the experience. Well, let me take that back. I’m the one beyond excited, as turtles are one of my favorite things in the world! 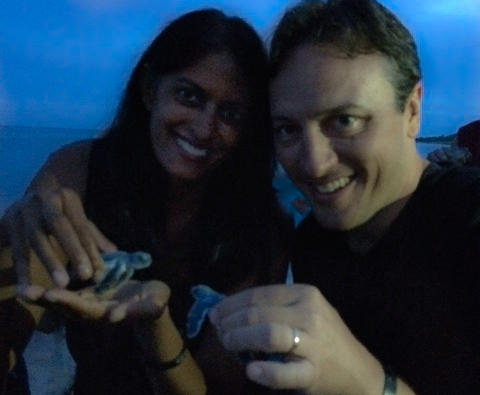 We love turtles, and it was exciting to not only see them hatch, but then to have the opportunity to hold them, before we released them as a group into the Caribbean Sea just after sunset. I didn’t capture too many photos, since it was dark and bright lights can hurt the turtles’ chances for survival. We love how many resorts in Cancun are invested in protecting the approximately 800 turtles that nest and lay hundreds of eggs each year. These little hatchings encounter numerous challenges even before their birth, making their survival rate extremely low. 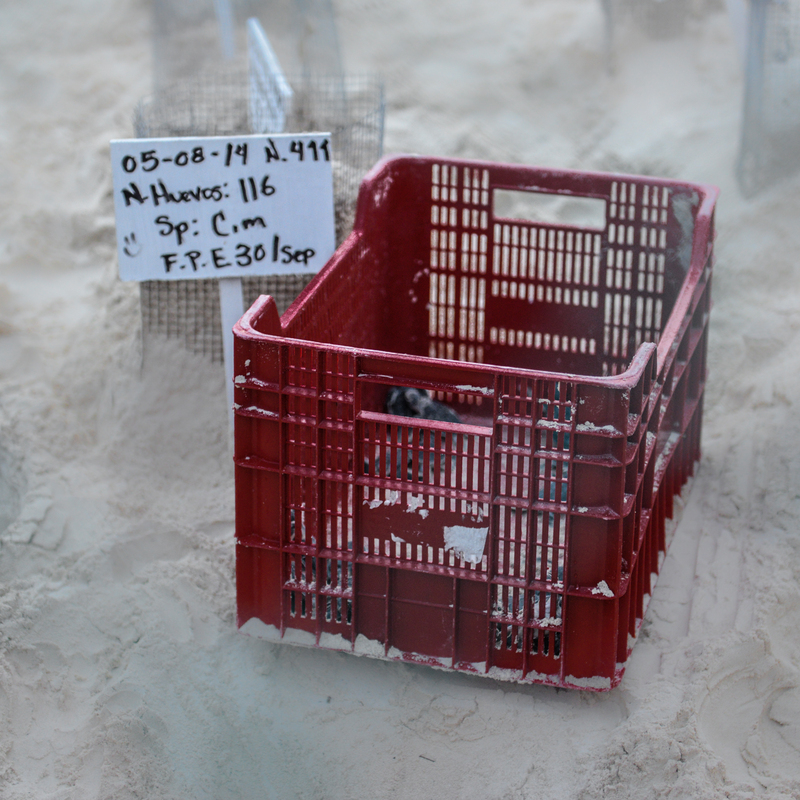 Existing dangers as eggs hidden beneath the sand are other animals (hungry iguanas and raccoons) as well as humans. After they hatch, their very short journey from nest to the water is also fraught with numerous potential hazards, including herons, gulls, and other predatory birds, ready to scoop them up for a tasty meal. By protecting and watching over the eggs, and then safely releasing them into the sea, these adorable baby turtles have a greater chance at survival. Here they are below, after having made it to the surface. They are put in little red crates and protected until it’s time for the release. 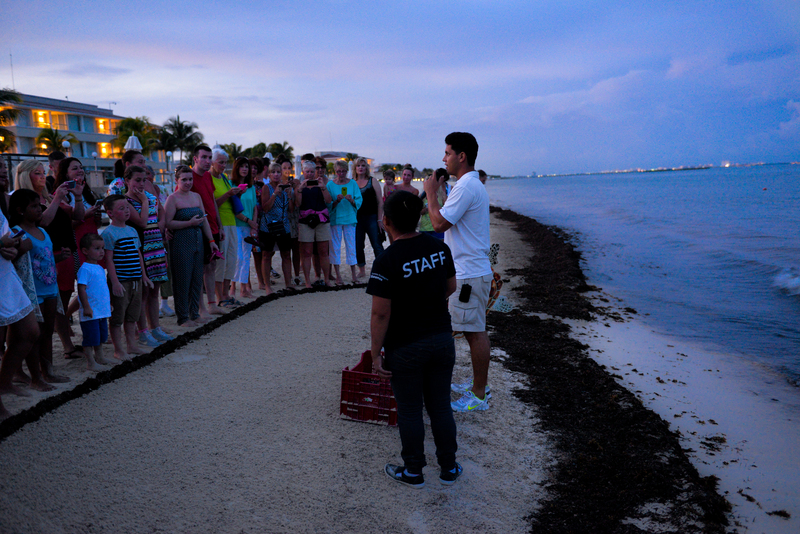 When the sun is about to set, they distribute the turtles to those participating in the turtle release program. Unfortunately, as soon as the hatchlings enter the sea, there are many more dangers that await them. So we wait and hope that one day, they return as adult turtles, to continue the nesting process.